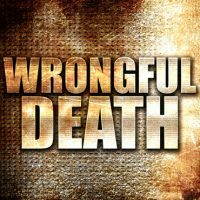 The wrongful death of a family member due to someone else’s negligence is something many never recover from. As a result, some families seek to litigate over the wrongful death of their loved ones with the hopes that seeking justice in court could prevent that same fateful mistake from happening in the future, to someone else. In late September, the family of a man treated at a Veteran Affairs Medical Center did just this: They filed a $25 million wrongful death lawsuit, claiming that the doctors effectively caused his death by failing to prescribe anticoagulants after his operation. Specifically, they allege that the reasonable, applicable standards of care dictate that a patient in this situation should have been warned that they faced a high risk of developing a pulmonary embolism due to their surgery and prescribed anticoagulants. The patient, Isiah Pearson Jr., was originally admitted to the hospital for surgery simply to repair the quadriceps tendons in his right knee. The operative report indicated that Pearson was supposed to be discharged with a prescription for Deep Vein Thrombosis prophylaxis in order to prevent him from suffering from a potentially fatal pulmonary embolism after he was discharged. This is because he was at high-risk of developing an embolism due to his weight, age, the type of surgery he underwent, and the relative immobility that resulted from the procedure. However, according to the complaint, he was only prescribed pain medications, which left him vulnerable to developing the fatal embolism. The embolism most likely developed due to the deep vein thrombosis he experienced in his right leg after/due to the surgery. The Federal Tort Claims Act enables citizens to sue the United States in federal court for any “tort” (any wrongful act or infringement of a right which leads to civil liability) committed by a party acting on behalf of the United States. This is necessary because the government, in some respects, otherwise enjoys sovereign immunity from lawsuits. In this instance, the law mandated that the family first file an administrative claim with the U.S. Department of Veterans Affairs. However, the Department ultimately denied their claim, thereby denying any wrongdoing. The family was thus free to file its claim in court, instead seeking a jury trial. If you or a loved one has suffered from an injury or wrongful death in the family due to someone else’s carelessness, speaking with an experienced personal injury attorney should be a top priority. At the Arwani Law Firm we are here to help: We offer the very best in legal services to clients throughout Florida. Contact us today to find out more.